Pretty cute girly summer sneakers.. pink on white! These girls sneakers are pink on white. You can resize them via script if you need to. But they should fit already for girls as I did wear and adjust them. If not.. resize them. It is easy via script. Grungy & Rusty Hangar! Maybe a nice Prefab for your Underground Club! This is a Grungy and Rusty Hangar.. or call it Aircraft Shelter.. yea maybe a Bunker? The whole structure has just 35 Prims. 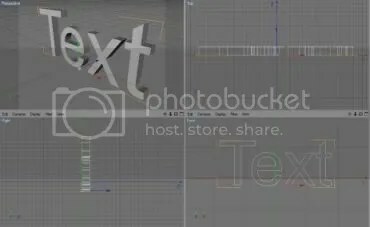 Today I wanna show you some very simple Worksteps so that you later can create your own extruded 3d Text with Cinema 4d. 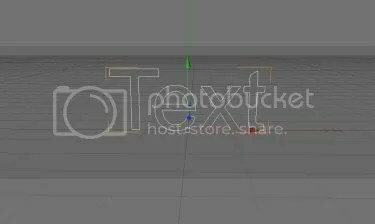 There will be several Cases where you could use that for your own 3d Text Logo or just for any other Scene you create. Ok let us run these Steps now! 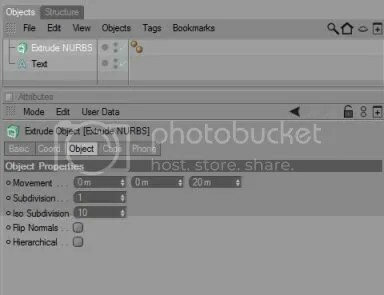 I´m sure you know this panel on the right side of your Cinema 4d which is called Objectmanager. 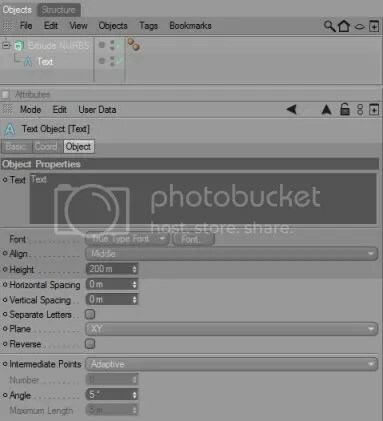 If you take a look there now, you will notice that you find that Textobject there too. Once clicked you will see some attributes we could change. Related to the Textobject these options you can change, are similar to any other settings you would change in a Windows Textapplication like Words. So indeed you could now there start to type in another Textmessage and choose your Font, the Textalignment, Horizontal Spacing, Vertical Spacing and what ever you like. 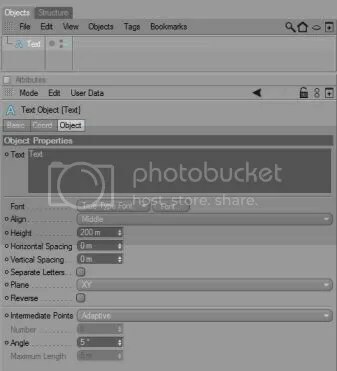 But for this Tutorial we will use the standard Textsettings. 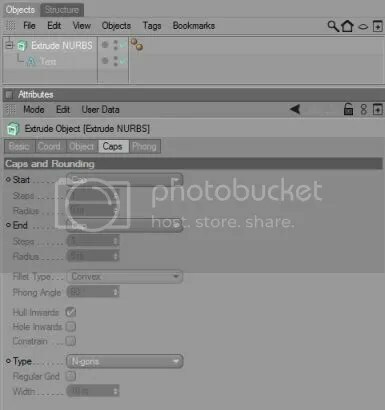 I just wanted to refer on that so that you later know how to set up the Fonts you want to use. You still can play around with that later. Ok but lets go on now. We both noticed that our Text looks horrible flat and boring. We gonna change that now, as we need a 3d Text! What we now need, is an Object which is something like a modificator Script. 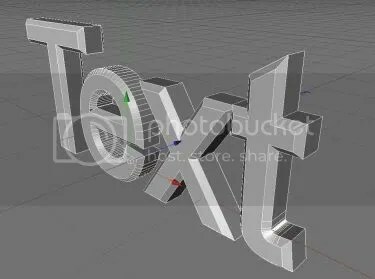 I mean more precisely that it will convert (extruding) our flat Textspline to a 3d Text. But this is still not the Result we want because the Textedges are to much square. Lets fiddle some more! Here we should change the Start and End Attribute from “Cap” to “Fillet Cap”. That was easy or? 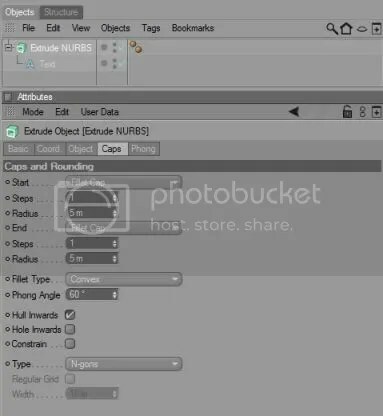 Now you can repeat these Steps but play around with every single Setting you´ll find. Play some Trial and Error. Thats the way how you will find out more! If you did ask your self what the Word on the textured Picture means… This Tutorial was intended to be used on a German Website of a Friend but I translated this “HowTo”. So here is the Bonus-Knowhow! 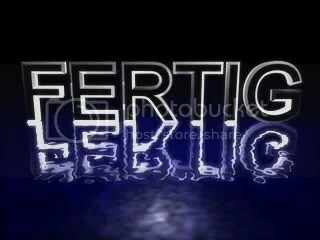 This Word is German and means “Ready”, “Finished” or “Complete” in your Language . 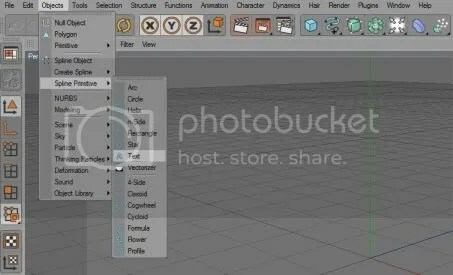 I told you in “this Blogpost” that I did create a custom UI Skin for the Phoenix Viewer. Now I had a response from LordGregGreg and if I am finished with everything I can email him the files and things start rolling. So I told him that I will monitor my own UI Skin for a while now. I think I will monitor it for a Week while I play Second Life. I think thats the way how I can make some adjustment if I find anything strange in the UI.. yea I would call it betatest on my own. But at the moment I didnt find anything strange. But better using it one week so that I did explore every single menu. Its a measure of precaution so that I dont send out a UI Skin with failure. But everything seems that this Skin will be one of the alternative Phoenix Viewer UI´s in the future. At least you might be able to choose this one then in your option panel. That makes me happy. The Phoenix Viewer gives me so much fun with Second Life and now I am able to give something back to this awesome Team which is responsible for it that this great Third Party Viewer stays alive. I also noticed that they all are very friendly. Thats cool! Ok I am back to work now.